The Clarence Hollow Farmers Market is the lone seasonal market in the state set up along a Rails to Trails bike and pedestrian path. It makes sense to Melany Arrison that it also should be the first in the region to feature a weekly bicycle ride. The Clarence resident – who often can be seen around town on a bike – has put out a call for ride leaders and ambassadors to help her carry out weekly 9 a.m. rides during the market, which runs 8 a.m. to 1 p.m. each Saturday from June 1 to Oct. 12. "Biking is fun, and you're getting exercise,” said Arrison, a married mother of three. “It’s a really upbeat, positive thing to do. When you bike ride, you get to know people you've never met before. Our community, like all communities, could use that." Market organizers agreed to allow bike-related businesses and community groups to use vending space free during the upcoming season and talk about bike safety or products before the start of each ride. "Our community is ripe for being a bicycle-friendly community, a legitimate one," says Melany Arrison, a town resident and avid runner and bicyclist. The new twists are part of a larger effort. "Our community is ripe for being a bicycle-friendly community, a legitimate one, just like we're a 'Right to Farm Community,'” Arrison said. “It's great for real estate values and will enhance the community overall." Arrison, 43, resumed biking almost nine years ago. 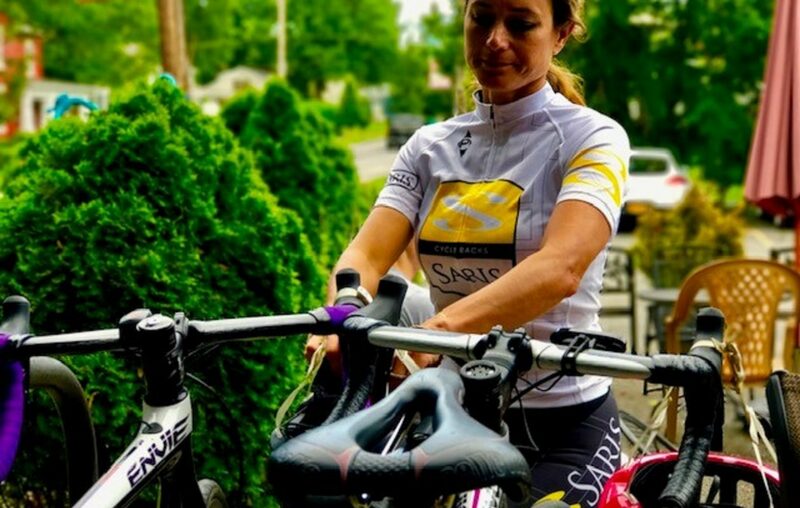 She also has participated in marathons and triathlons in recent years, and last year became a bike-riding route and safety monitor during the annual New York City Marathon. She has turned much of her civic attention lending her voice to efforts to add bike lanes to Main Street, which has happened during recent years, and Sheridan Drive, which is planned. Arrison also has become a volunteer with Discover Main Street Clarence, an organization that promotes small business, community events and family-friendly local redevelopment along one of its three bustling corridors. Tom’s Pro Bike owners Tom and Valerie Lonzi, whose shops include one in the Transit Road corridor near the start of the Clarence Bike Path, are among those who have signed on to help Arrison with the weekly bike rides. Other bike enthusiasts also have volunteered but more are needed. Those who are interested can email her at msmeljoy@gmail.com. 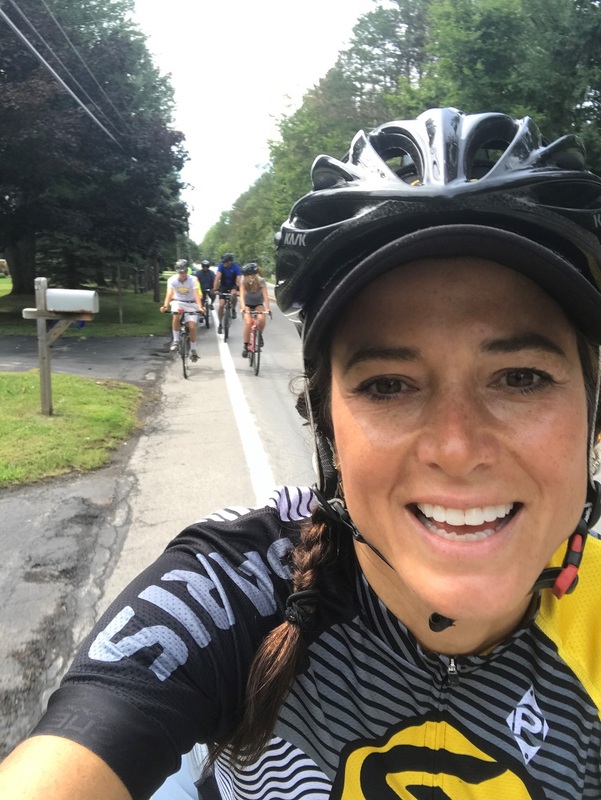 Arrison sees plenty of Clarence residents during Slow Roll and other GObike Buffalo events, as well as during her participation in bike club and century (100-mile) fundraising rides. She has helped organize Slow Roll Pedal Parties that have drawn hundreds of bicyclists into the town. She hopes to see biking enthusiasts from across the region come to Clarence Hollow for the Saturday morning rides, which will start and end at the market bike corral. The market and corral each sit along the West Shore Trail, a bike and pedestrian thoroughfare that connects with the Peanut Line Trail further east of the market; both trails are considered part of what is often called the Clarence Bike Path. Each ride will run 10 to 12 miles, last about an hour and vary at least a bit.